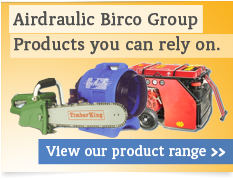 Airdraulic Birco Group Pty Ltd of Australia supply pneumatic tools and mining hardware to the Hire, Construction, Mining, Local Government and Manufacturing Industries. Over the last 40 years, we have built our business on quality equipment, great service, and cost effective pricing. Stay up to date with what's happening with ABG by joining our regular newsletters.